This blog post will be about the second positive group that has been working secretly behind the scenes for the benefit of humanity and liberation of the planet. I have gained access to one of esoteric texts that was written by a member of that group and I am publishing it now in its entirety with full permission of that group. »Brotherhood of the Star is a planetary oupost of the Blue Lodge of Sirius that is connected with Sirius via Jupiter and Jupiter Command. The purpose of the Brotherhood of the Star is to guide the evolution of the planet under the guidance of Sanat Kumara. The inner circle of the Brotherhood of the Star are Masters and Arhats that have reached their Ascension on this planet. The outer circle of the Brotherhood of the Star is the Esoteric Brotherhood comprised of disciples of the Ascended Masters that have reached the seventh subdegree of the third Initiation. The physical anchor of the Brotherhood of the Star is a vast subterranean kingdom of Shamballa, where the Great mystery school of the Transhimalayan Brotherhood is operating. The Esoteric Brotherhood represents its antechamber. Brotherhood of the Star was never public since the time of Atlantis. It was working secretly through its discliples. Disciples of the Brothehood of the Star comprise the Order of the Star. 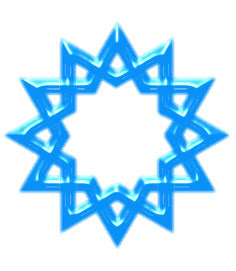 Order of the Star is a community, a mandala of 144,000 star beings of the first, second and third Initiation that have incarnated on this planet with the purpose of occult triangulation of light and darkness. Members of the Order of the Star have been influencing the world situation based on telepathic guidance from the Brotherhood of the Star. They have caused the flowering of Graeco-Roman culture aided with telepathic impressions from Brotherhood of the Star. They were active as Druid priests in Celtic culture. As Essenes they were collaborating in the project of Ascension of Jesus and Magdalene/Grail family lineage as a counterbalance against the thirteenth bloodline of the black nobility. They have founded Sufi initiation orders. In the 12th century they have founded Cathar and Albigensian movement which has revived Goddess mysteries through Troubadour poetry and have also revived Gnostic Christianity mysteries from the times before the Constantinian Christian cult. In the 13th century they have founded the Templar order which was based on discovery of Isisian esoteric texts in the crypt below the Salomon temple. Information on those scrolls has enabled the revival of the old Egyptian star mysteries and formation of freemasonry. Based on an impulse from the Brotherhood of the Star, hidden Cathar lodges have triggered the Renaissance around 1450 in Florence and this has shaped our western civilization as we know it now. This has fulfilled the conditions for arrival of first representatives of the Esoteric Brotherhood into Europe from subterranean Tibet. Since then onwards a few dozen representatives of the Esoteric Brotherhood are working secretly behind the scenes in Europe. In the 16th century they were active mainly in Florence, Venice and Verona, in the 17th century mainly in London and also elsewhere in England and in the 18th centruy mainly in Paris. The Esoteric Brotherhood has transmitted the spiritual impulse for the beginning of the Enlightenment movement to the Order of the Star and this has reshaped the 18th century and set the basis for the scientific and technological revolution. The Esoteric Brotherhood has triggered the creation of the mystery school through Comte de Saint Germain in Paris in 1775. This secret mystery school was active for about 100 years and then the Esoteric Brotherhood has triggered the creation of the Theosophical Society through H. P. Blavatsky in 1875. Through telepathic impressions, the Esoteric Brothehood has guided the progress of science, especially through Nikola Tesla. Now Esoteric Brotherhood is not involved in the matrix of system on planet Earth. We live in undisclosed locations on the surface of the planet. Esoteric symbol of the Brotherhood of the Star is the heavenly stone of Sirius, fire jewel, cinta mani, lapis ex coelis, which represents the jewel of our true Self (atma-buddhi-manas). Esoteric symbol of the Order of the Star is a chalice of Moldavite, the heavenly stone of Pleiades, the holy Grail, sangreal, which represents our causal body and the star nobility, the mandala of 144,000 star beings of light. Brotherhood of the Star is the last pure remnant of the mystery schools of Light from Atlantis. The Cabal tried to infiltrate it without success as they have very strict rules of admission. Alas, the Cabal was much more successful with infiltrating the more public mystery schools such as Jesuits were able to do with freemnasory in the early 1800s and as Theosophical Society was infiltrated after Helena Blavasky died and her teachings were misused later by the Cabal. This is the cause of much confusion among the Lightworkers, but true teachings will be restored soon as part of Operation Dreamland.